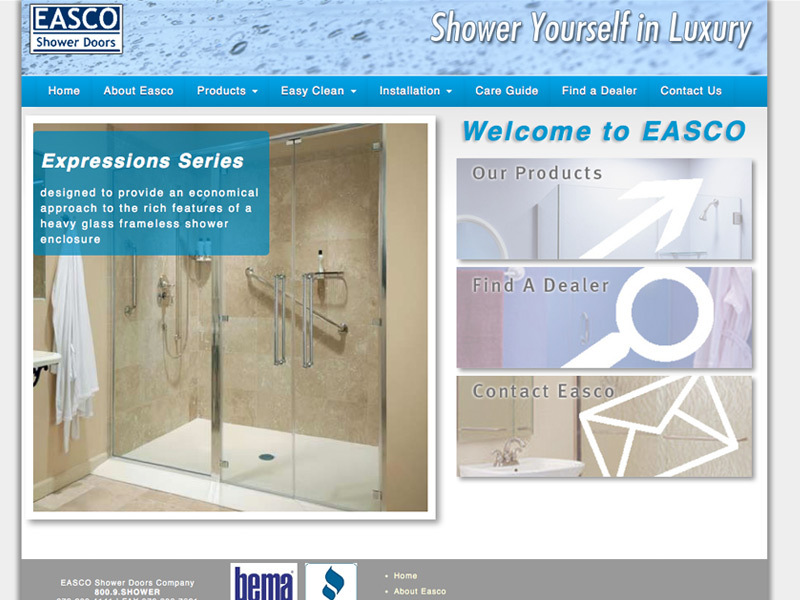 Inforest Communications has completed a redesign of the EASCO Shower Doors website (http://easco-shower.com). EASCO, based in Trenton, New Jersey, is a manufacturer of shower door enclosures, including glass fabrication, in a variety of styles, glass treatments and hardware. EASCO works with a range of dealers to measure, design and install their products for both residential and commercial customers. The EASCO website is the third iteration completed by Inforest, with prior versions completed in 2004 and 2009. The latest version is designed using the Twitter Bootstrap framework and is a “responsive design”; where the layout changes to accomodate mobile and tablet devices, in addition to desktop viewing. The site is built using Inforest’s own custom CMS tool, allowing EASCO staff to manage all site content and photo galleries. We are very happy with the opportunity to continue to work for EASCO, and appreciate their business.